Online leaks suggest that a brand new Guitar Hero game featuring a new guitar is in production. Yahoo France names the game as Guitar Hero Live, the game will have a six button controller instead of 5, and now the buttons will be arranged in a different format. The buttons will be in two rows of three, this is a massive change a s fans have had single row buttons from the start of the series. Another huge change is the perspective, now when playing you will be in first person mode, this will make the game more realistic. Competitor music series Rock Band is also making a comeback this year. Harmonix has said that it wants Rock band 4 to be compatible with legacy hardware. Which Guitar Hero Live’s new controller design prohibits. 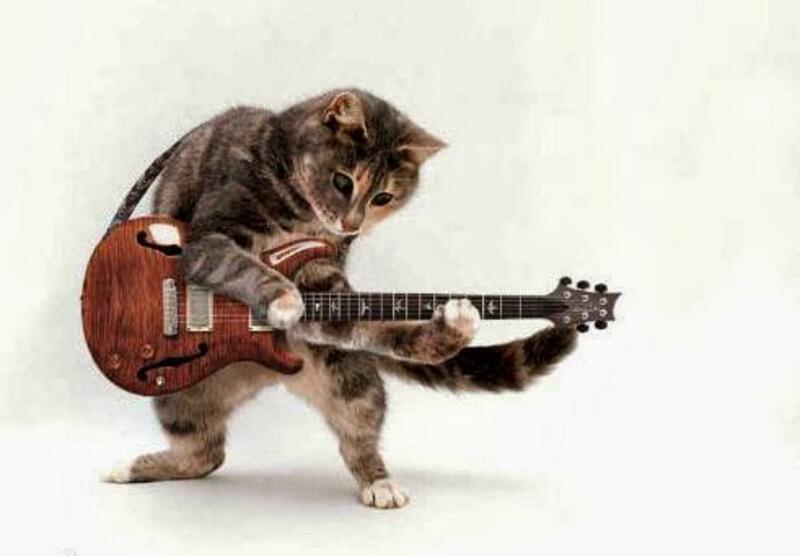 And for no good reason, here is a gratuitous image of a cat playing guitar. Do Mircosoft want you to kill the planet?